With a long history of comic magazines, books and movies, Superman: Man of Steel is the 2013 re-incarnation of this evergreen, iconic licence. 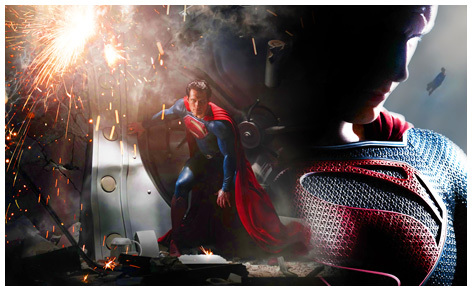 Featuring Henry Cavil as Clarke Kent (alias Superman), Russell Crowe as Jor-El his biological father, and Amy Adams as Lois Lane The Daily Planet’s reporter, Mattel won the master licence rights for a massive range of Man of Steel toys. A wide selection of action figures of various sizes and detail are at the heart of this range of toys. General Zod is the arch villain, and naturally all the main characters feature in the various toys, games and playsets that are available from a variety of manufacturers. Released in the UK on June 14th 2013, a pent-up demand for Superman: Man of Steel toys reached epidemic levels. A selection of generic Superman toys are widely available from online retailers as well as traditional bricks and mortar toy shops.